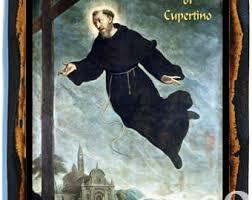 St. Joseph of Cupertino was gifted with an erratic mysticism. Prone to ecstatic visions since youth, he is often most remembered for his supposed ability to levitate. Indeed, parapsychologist Dean Radin cites him as evidence that humans have always been capable of mystic capacities that outstretch the boundaries of the ordinary. Moreover, the intense emotional life of St. Joseph is something many modern-day contemplatives, artists, and Empaths can relate to their own struggle. So often, those of us inclined towards contemplation go through periods of deep solitude and abundant feeling. St. Joseph, due to his ecstasy and levitation, was often made to live his Friar vocation in a solitary cell, so as not to disrupt the other monks. Contemporary mystic Eckhart Tolle has spoken of his time that followed his awakening and how for awhile functioning in the world took a secondary status to integrating his energetic equilibrium. St. Joseph couldn't even function at the beginning of his adult life, even in the confines of monasticism. It took him awhile, and ultimately, his entire life to try to integrate with the church. 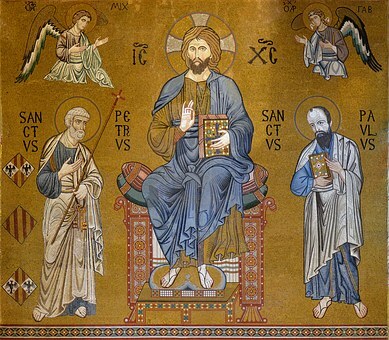 We are happy to announce our upcoming class on The Christian Mystics.